“no sun, no moon” is again on the road! Karin de Fleyt will perform my work for for bass flute and electronic (fixed media) at the International Festival for Artistic Innovation iFIMPaC 2016 in Leeds (England). The concert will be the next Friday, March 11th, 2016 (2:30 pm), at The Venue in the Leeds College of Music (3 Quarry Hill, Leeds LS2 7PD, United Kingdom). In celebration of Leeds College of Music’s 50th Anniversary, the International Festival for Artistic Innovation presents from Thursday, 10 March 2016 to Friday, 11 March 2016 the iFIMPaC 2016. The International Festival for Innovations in Music Production and Composition (iFIMPaC) is a metropolitan festival and takes place at Leeds College of Music and venues around the City of Leeds. The festival creates a unique environment for composers, producers, performers, academics and students to perform and discuss their compositional/production work as practice-led research. 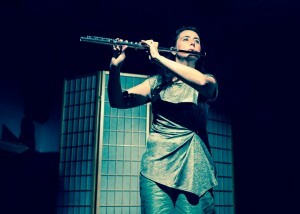 Do not hesitate to hear Karin de Fleyt performing “no sun, no moon” if you happen to be there! Copyright © 2019 Jorge García del Valle Méndez. All Rights Reserved. The Matheson Theme by bavotasan.com.